Angels are pure and holy spiritual beings who love God and serve Him by helping people, right? Usually, that’s the case. Certainly, the angels that people celebrate in popular culture are faithful angels who do good work in the world. But there’s another type of angel that doesn’t get nearly as much attention: fallen angels. Fallen angels (who are also commonly known as demons) work for evil purposes that lead to destruction in the world, in contrast to the good purposes of the missions that faithful angels fulfill. Jews and Christians believe that God originally created all angels to be holy, but that one of the most beautiful angels, Lucifer (now known as Satan, or the devil), didn’t return God’s love and chose to rebel against God because he wanted to try to be as powerful as his creator. Isaiah 14:12 of the Torah and the Bible describes Lucifer’s fall: “How you have fallen from heaven, O morning star, son of the dawn! You have been cast down to the earth, you who once laid low the nations!”. Hindus believe that angelic beings in the universe may be either good (devas) or evil (asuras) because the creator god, Brahma, made both "cruel creatures and gentle creatures, dharma, and adharma, truth and falsehood," according to the Hindu scripture "Markandeya Purana," verse 45:40. The asuras are often revered for the power they wield to destroy since the god Shiva and the goddess Kali destroy what has been created as part of the natural order of the universe. In the Hindu Veda scriptures, the hymns addressed to the god Indra show fallen angelic beings personifying evil at work. The most famous of all the fallen angels in popular culture –- Satan -- isn’t an angel at all, according to Islam, but instead is a jinn (another kind of spirit that has free will, and which God made from fire as opposed to the light from which God made angels). People who practice New Age spirituality and occult rituals also tend to view all angels as good and none as evil. Therefore, they often try to conjure angels to ask the angels for help obtaining what they want in life, without concern that any of the angels they summon may lead them astray. Those who do believe in fallen angels say that those angels tempt people to sin in order to try to entice them away from God. Genesis chapter 3 of the Torah and the Bible tells the most famous story of a fallen angel tempting people to sin: It describes Satan, the leader of the fallen angels, appearing as a serpent and telling the first human beings (Adam and Eve) that they can be “like God” (verse 5) if they eat fruit from a tree that God had told them to stay away from for their own protection. After Satan tempts them and they disobey God, sin enters the world damages every part of it. Some of the problems that people experience are the direct result of fallen angels influencing their lives, say some believers. The Bible mentions many instances of fallen angels causing mental anguish for people, and even physical distress (for instance, Mark 1:26 describes a fallen angel violently shaking a person). In extreme cases, people may become possessed by a demon, harming the health of their bodies, minds, and spirits. In Hindu tradition, asuras derive happiness from hurting and even killing people. For example, an asura named Mahishasura who sometimes appears as a human and sometimes as a buffalo enjoys terrorizing people both on Earth and in heaven. Interfering with God’s work whenever possible is also part of fallen angels’ evil work. The Torah and the Bible record in Daniel chapter 10 that a fallen angel delayed a faithful angel for 21 days, battling him in the spiritual realm while the faithful angel was trying to come to Earth to deliver an important message from God to the prophet Daniel. The faithful angel reveals in verse 12 that God heard Daniel’s prayers right away and assigned the holy angel to answer those prayers. However, the fallen angel who was trying to interfere with the faithful angel’s God-given mission proved to be so powerful of an enemy that verse 13 says that Archangel Michael had to come help fight the battle. Only after that spiritual battle was over could the faithful angel complete his mission. 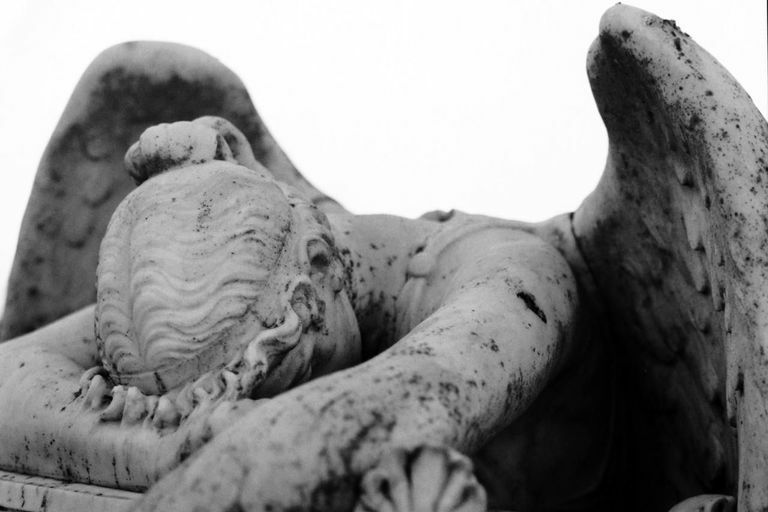 Do Angels Feel Sorrow and Anger?